It is undeniable that expecting mothers have a certain glow in their faces. Who would not have when pregnancy is considered as the most special and life-changing moment for a woman? Nonetheless, Pain during pregnancy is likewise a crucial phase for a woman. They become more prone for body pains and other sickness primarily because their body is changing. How a pregnant woman handles or administers her pregnancy will affect not only herself, but also that of her child. Body aches is not something unique in pregnancy. Truth is, pain, aches, and discomfort are very common for pregnant women. No day will pass without even a little ache in the body. The pain or discomfort may be concentrated to only one part of the body or a general one. Body aches and discomfort are expected during pregnancy primarily because of changes in your body such as the expansion of uterus, increased weight, and pressure pressed against the bones or muscles because of the growth of the baby in the womb. These also mean that your body is preparing for childbirth. Pain during pregnancy vary in gravity or intensity. Some will experience only discomfort and aches, while others will experience sharp pains when pregnant. The body pains or discomfort likewise vary depending on which stage of pregnancy are you in. Determining and understanding the cause and characteristic of your pain will help you identify the proper ways to relieve or treat the same. Depending on your condition and nature of pregnancy, there are different ways to approach discomfort and pain that come along with pregnancy. In the succeeding paragraphs, we will identify the different types of pain that are experienced during pregnancy, their cause, and possible fixes or remedies. Nevertheless, as early as now, I has to be emphasized that you have to talk to your doctor to make specific diagnosis of your condition and so you know how to properly address your complaint. Is back pain a sign of pregnancy? The answer is an ambiguous yes. It is an ambiguous yes, primarily because it is an ambiguous sign of pregnancy. A back pain may have other underlying reasons apart from pregnancy like stress or pre-menstrual pain. While back pain is not an absolute sign of pregnancy, it is one of the most complained types of pregnancy pain. Back pain is a common complaint among pregnant women. This may occur at any time during pregnancy, but is most common or worsens during the third trimester. Back pains at the early stage of pregnancy like 4 weeks pregnant back pain, back pain at 5 weeks pregnant, or back pain 6 weeks pregnant may be because you are starting to gain weight. Women are expected to add on 25 to 35 pounds or even more during pregnancy. Also, back pain during pregnancy is experienced by about 50 to 80 percent of pregnant women. Severe back pain during pregnancy, however, normally occurs during the third trimester. This may be a result of strained muscle or spine because of weight gain or change in posture. Whether it is a back pain 27 weeks pregnant or back pain 38 weeks pregnant, the enlarged uterus and growth of baby may weaken the abdominal muscles thereby causing pain. The pain on one’s back may either be a pain on the upper back or a lower back pain. Back pain during pregnancy may also be caused by the relaxin hormone, which softens the ligaments and lower spine. The instability requires the muscles of the body to work harder and causing muscle spasm. Realignment of the spine and shift in body posture are the primary reasons why you experience upper back pain during pregnancy. One common condition that is experienced by many during pregnancy involving the back is the sciatica. It is usually a lower back pain during early pregnancy even extending up to later stages of pregnancy. Sciatica is that sharp and shooting pain that is usually felt from the lower back down the buttocks and legs to the ankles and feet. This happens when the sciatic nerve, which is the largest nerve in the body, is compressed by either of the many causes. Among the primary causes of sciatic nerve pain during pregnancy are increased weight and fluid retention, shift of center of gravity by growing belly and breasts, expanding uterus, and change of baby’s birth position during the thrid trimester. When you know what causes your back pain, then it will be easier fr you to determine the proper method for back pain relief during pregnancy. The first thing you can do is to improve your posture. Maintaining a neutral standing and sitting posture will help relieve pressure on your spine. When sitting, a good lumbar support pillow would be of big help. If you are looking for home remedies for back pain during pregnancy, you can use cold and heat compress on the area where the pain strikes, but not to the belly. When you sleep, avoid sleeping on the back and instead, use a pillow on your sides or between your legs. Use supportive bra or maternity garments and shoes. Use Pregnancy Back Pain Relief During Sleep product and Mattresses for Back Pain to avoid pain. Meanwhile, when it comes to methods on how to relieve sciatica pain during pregnancy, stretching and light physical exercises would help. These effective reduce postural stress and help muscles gain strength.. Along with the more common back pain, pregnancy also increases one’s risk to neck pain. More often, back and neck pain come together. This brings severe discomfort and worse, becomes debilitating to expecting mothers. The discomfort and ache in early stages of pregnancy can be attributed to the change of hormone levels in the body like estrogen and progesterone. These hormones flood the body to open and flex some parts of the body resulting to the loosening and flexibility of ligaments and muscles. In this phase, the woman will experience increased weight and growing belly. Apart from this, the stresses that mothers in early stages of pregnancy caused by lack of sleep and improper posture will cause the discomfort and ache. Changes in the physical and hormonal levels will stress the woman’s body. The growing baby and weight gain affects posture, balance, and gravity of the expecting mother. In the later stages of pregnancy, the center of gravity shifts requiring support from the neck and back. In this case, it is the upper back with the shoulder muscles that work thereby causing neck pain. Pregnant women in last few phases of pregnancy usually carry a lot of tension in the neck that causes neck pain. For those who are still starting their pregnancy, giving a good massage to your neck will help. This can only be done, of course, if your doctor permits. Another neck pain relief is to use a pillow under knees and a cervical pillow that you can place under the head and neck. Applying cold or ice pack on the neck may also help prevent swelling and reduce pain. If you are in the later stage of pregnancy, doing some stretch will help you relieve the neck pain. Nonetheless, it is important to remember that your neck pain may be caused by anything, minor or serious, so it is advised to seek for your doctor’s advice. Before you became pregnant, you just used to brush off a shoulder pain. But when you become pregnant, everything changes. Every discomfort or pain must be considered, observed, and taken into consideration. So some will probably ask, is shoulder pain a sign of pregnancy? While shoulder pain per se is not a sign of pregnancy, it can be a symptom of a serious condition of pregnancy that requires immediate medical attention. Considering the many physical changes in a woman’s body during pregnancy, a shoulder pain can be very common. According to studies, shoulder pain is experienced by up to 40 percent of women during pregnancy. This may arise in the early stages of pregnancy. 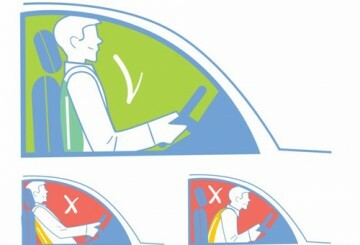 The shoulder pain may be attributed to various causes. For one, it could be as simple as a wrong sleeping position, but this may entail a more serious underlying condition. Thus, a shoulder pain during pregnancy should be taken seriously. As pregnancy develops, the ligaments in the shoulders loosen and together with increased weight, it exposes the pregnant woman to ligament strain or sprain. Pregnancy also affects the digestion and gallbladder. In the second and third trimester, it is highly important to pay attention to your sleeping position and make sure you equip your bed with sufficient sleeping support. In more complicated cases, shoulder pain may be a symptom of ectopic pregnancy or pre-eclampsia, both of which require immediate medical help. The best pain reliever for shoulder pain during pregnancy largely depends upon its cause. Others can take in painkillers under the authority of the doctor. Application of ice packs may likewise help ease the pain. Expecting mothers may also try sleep on the left side or sleep on the back with a pillow under their right side. Engaging in low impact activities will be of big help to improve shoulder health. However, to make sure that everything is okay, it is advised to visit your doctor so the latter can advice you on the proper steps to take to improve your health during pregnancy. As it has been repeatedly said in this article, pregnant women have increased risk to different body pains. This can be associated with weight gain, posture, balance, and so much more. Like ot her pains that have been discussed in the preceding sections, chest pain during pregnancy may be related to the normal physiological changes in the body. In some cases also, chest pain suggests something serious. There are many things that may cause your chest pain. But being pregnant, it is advised by experts to immediately convey your discomfort or pain to your doctor to prevent the same from getting worse. When you feel first signs of chest pain, there is no need to panic. 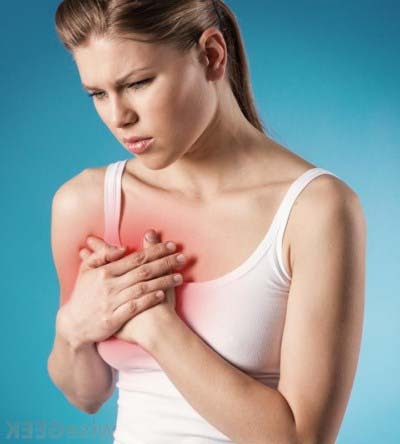 In any case, it is important to get to know the causes of chest pain so as to prevent or minimize the same. Chest pain during pregnancy may be caused by different factors, one of which may be the growth of a woman’s uterus. When the uterus grows, it applies pressure on other areas like chest and diaphragm. In case it involves a burning sensation, heartburn and acid reflux may be to blame. Heartburn may be caused by eating certain foods, gas, or indigestion. Acid reflux is a symptom in which the acid from the stomach passes through the esophageal sphincter into the chest. These processes result to discomfort and pain. As for indigestion, the pain is caused by the gas trapped in the chest. So it is important to avoid foods that give you indigestion. Other causes include enlargement of breasts, stress, and pressure from the baby as the latter develops. Depending on what causes your chest pain, the solution or remedies vary. If tis the growth or the uterus, one has to endure the pain as there is not a lot that can be done. However, to relieve the discomfort, one may choose to lie on the left side so the weight of the uterus does not rest on the blood vessels and to make room for breathing. This is to ensure proper supply of oxygen. Intake of enough vitamins and minerals is another pain relief for chest pain during pregnancy, which of course must be taken under the authority of your physician.. Also, avoid lying down right after eating. Immediately seek the assistance of your doctor if you experience even a mild chest pain. Abdominal pain, in general, comes as natural considering the shifting of our organs and expansion of the uterus and ligaments. The baby puts lots of pressure on the muscles, veins, and joints in the stomach area. The ligaments, meanwhile, stretch to accommodate the uterus. Abdominal pain when pregnant does not generally pose a threat to the health of the mother and the baby. However, in rare cases it can be more serious. As an expecting mother, it helps to be informed of the different causes of chest pain. For less serious abdominal pain, the same may be caused by growing uterus, round ligament pain, constipation and gas, and the Braxton Hicks contractions. Abdominal pain, particularly lower abdominal pain pregnancy, is something that should not be taken for granted. It must be immediately addressed by your doctor, especially because it may lead to some more complicated situations. In the first trimester, abdominal pain should be addressed because it may be a sign of miscarriage and ectopic pregnancy. In the second trimester, while the risk is not as big as in early stage of pregnancy, abdominal pain in this stage may still result to late miscarriage. In the third trimester, the pain may be a sign of premature labor. Abdominal area is a common point for pregnancy pain. This area covers different organs including the stomach. Pregnant women experience stomach pain during pregnancy in the early stages. Stomach cramps is a normal occurrence of early pregnancy because of the physical changes of the body. This may take place at the time the embryo is implanted on the walls of the womb and when the womb starts to shape and stretch. As the first trimester ends, the mother will feel pain on both sides of the body as they move. At 7 months, the abdomen and ligaments in the pelvis stretch as your organs are being squeezed. This adds pressure to stomach, along with diaphragm and ribs, causing discomfort and pregnant belly pain. Most pregnant women would complain about sharp side pain during pregnancy. Health experts explained that this is normal and may be caused by the round ligament pain during pregnancy. This is because of the pregnancy hormones that soften and stretches the ligaments as a preparation for birthing process. The discomfort or pain in the round ligament is usually short. Moreover, if you feel lower abdominal pain during pregnancy, it is advised to see the doctor as soon as possible. This is especially so if the pain does not go away. The first solution to abdominal pain is to relax. It will help to sit down or lie down on one side opposite to where the pain is and then elevate your legs. Make sure you eat fiber-rich food and in small frequent meals. Drinking tons of water is also advised. Application of heat compress on the affected area is another abdominal pain relief pregnancy. Taking a warm bath will also help ease abdominal discomfort and pain. The same goes for stomach pain relief during pregnancy. In addition, over-the-counter medications approved by the doctor will help ease pain. Engaging in low impact and moderate exercises like walking or swimming helps alleviate stomach pain. Pregnancy ligament pain relief includes switching positions, giving your feet a time to rest, and doing some stretches. Discomfort or pain in any or different body areas is a normal phase in pregnancy. More often, it is considered incidental to pregnancy. So many people will ask, is hip pain a sign of pregnancy? Well, it could not be said that hip pain is a sign of pregnancy as it could also mean another condition and that hip pain is just among its symptoms. More so, hip pain is generally experienced in the second and third trimesters of pregnancy. The hip pain is generally caused by the hormones called relaxin, which the body releases to allow tissue and ligaments to relax and soften. While this process helps your body prepare for childbirth, it will likewise cause you discomfort and pain in various body parts. If you are overweight even prior pregnancy or if you have had prior hip problem, you have a huge risk of hip pain during pregnancy. if you practice sleeping on one side only, you will definitely have to bear with a hip pain due to pressure in the second or third trimester of your pregnancy. Apart from hip pain, the mother may also experience pelvic pain in the same period. Apart from relaxin, other causes that induce pain in the pelvic area are the softening of the symphysis pubic or public bone and increased weight of uterus. The enlarged uterus may put pressure on the sciatic nerves that initially give a tingling or numbing sensation and later one a stabbing pain. This condition is commonly referred to as sciatica. It, however, improves as you near your due date when the baby changes its position in the uterus. Your approach on how to relieve hip pain during pregnancy as well as pelvic pain will be based on the cause of the discomfort or pain. One way to ease the discomfort is by using pregnancy pillows. Give your pelvic points support through a pillow that at the same time conform to your body shape. While sleeping, it helps if you sleep on the side with a pillow in between. You may apply ice pack to the affected area or take a warm bath. It also helps if wear a girdle or support belt around the hip. Trying out prenatal yoga or Pilates and even swimming will likewise aid in pain relief. Another common area of the body that is affected by pregnancy is the thighs, especially if your lifestyle pretty much involves this part. As physical changes take place and as the body of the woman prepares for birthing, thigh pain during pregnancy is expected. When you feel like your upper thigh is in pain, it could be a Symphysis Pubis Dysfunction, which is caused by the loosening of the public joint. In the later stage of pregnancy, the uterus grows and this growth is also one cause of thigh pain. The uterus may press some weight on the sciatic nerves that result to inflammation. Even pelvic pain may reach though the thighs that make walking, climbing up the stairs, and turning difficult. The extent of pain varies depending on its cause. One way to relieve thigh pain during pregnancy is to make use of support belt to assist you in walking or in any movement to minimize the pain. Sleeping on the opposite side of the compressed nerve will help in relieving pressure onto the sciatic nerve. While rest is of great importance, it is still important to engage your body in an exercise. If you plan to take medication or any of the aforementioned remedies, the same should be done with the doctor’s full approval. Aside from the more common neck, hip, and back pain, many pregnant women also complain about knee pain. While pregnancy is such a precious gift, the knee pain it comes with is both a discomforting or painful and frustrating thing. Your movement will be limited and there are just things like walking for exercise that you are unable to do. Knee pain during pregnancy may be minor or a serious one. On a macro level, knee pain can be classified under joint pain. Joint pain, in general, refers to pain or soreness of the elbows, hips, fingers, and knees, among many others. Knee pain during pregnancy is neither new nor a surprise considering that weight gain is one of the causes of knee problems. Health experts said that additional pressure from the mother’s increased weight can cause knee pain. The change in the woman’s body hormones may also be an underlying factor that results to knee pain. These hormones loosen the pelvic area and ligaments and tendons that include those which surround the knees. Pregnancy-related knee pain may also be a product of injury to the ligaments and tissues of the knees. This is especially so when the mother is engaged in high impact activities like running. Any joint pain like the ache in the knee may require the attention of your doctor. After some weeks of pregnancy, you will feel physiological changes in your body. Along with these changes are the discomfort and pain that you might have never felt before. One of these could be leg and foot pain. With all the added weight and stress on the feet, this does not come as a surprise at all. Leg pain may be caused by different factors. The most common cause would be what is scientifically referred to as sciatica, which primarily involves the sciatic nerve pain, the largest vein in the body. The discomfort and pain by reason of sciatica reaches to the legs and feet because of the sciatic nerve that travels from the lower back down to the feet. This is caused by the pressure on the sciatic nerve as a result of the enlargement of uterus. Another reason of leg pain during pregnancy would be leg cramps. Leg cramps are common in the third trimester, which may be a result of lack of salt and nutrients like calcium and magnesium. As for foot pain, the same sciatica mentioned in the preceding paragraph may be the culprit. Apart from that, the pressure from the extra weight during pregnancy flattens the arches of the feet causing the feet to roll in. This is what is referred to as over-pronation. While the flattening of the feet during pregnancy is normal, it is the severe flattening that causes the pain. Apart from over-pronation, the swelling of the feet from extra blood and fluids, otherwise known as edema is considered as another factor in foot or heel pain while pregnant. These conditions will affect movement specifically walking. There are many ways to ease and get rid of leg and foot pain. One way to ease pain is to elevate the feet for about 15 minutes to let the blood circulate properly to the heart and lungs. Stretching the calf muscles is also an effective pregnancy leg pain relief that targets leg cramps in particular. Do not also forget to dehydrate by taking in lots of fluids. Applying ice on the ankles for a couple of minutes will likewise help relieve the inflammation of the feet. Rather than staying immobile or inactive, it is advised to keep active upon the advice of your doctor. Related to that, it is likewise essential to equip yourself with a supportive footwear for a pregnancy foot pain relief. Pregnancy is definitely one of the remarkable stages in the life of a woman. It officially welcomes the person to womanhood and motherhood. It has been said that to be a mother is the essence of the woman. Thus, it is just important that pregnancy be dealt with utmost care. The health of the child will largely depend upon the health and lifestyle of the mother and the environment. While pregnancy is such a beautiful stage for any woman, it does not come to you free from pain or discomfort as the mother is subjected to physiological changes. The changes in the body of the woman pose great risk to her health and entire being. Educating one’s self is very important so you can prepare for what pregnancy may bring. Learning the different types of pain that the expecting mothers may experience is not for the purpose of instilling fear or worries, but rather to prepare her physically and emotionally. 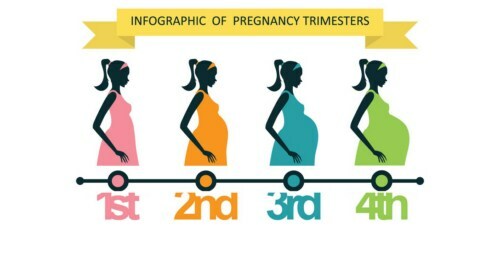 Likewise, by learning all of these, the pregnant woman gets enough support from the people around here.